Thanks to one of the widest networks of direct routes, BICS’ EasyConnect VoIP offers the ideal solution for A-Z termination services. It is composed by the two well-tried VoIP transit solutions of BICS: while First Class VoIP offers the highest possible quality, Business Class VoIP focuses on offering a market quality transit at cheaper prices. EasyConnect VoIP is backed up by a rich set of online tools: you will be able to easily manage on a day-to-day basis all aspects of the voice business, including pricing, invoicing, QoS reporting, customer service and pre-payment balance monitoring. By combining two well-established international VoIP transit solutions and powerful on-line reporting tools, BICS aims to offer the EasyConnect VoIP customers all the means to reach their own business goals. Get connected and start sending traffic within days! Send the signed contract and filled order form back to us. Once received, we will start the provisioning of your service. When our technical department has completed the interconnection, you will receive an “In Service” mail, with details on how to access the management platform “MyBICS” and detailed technical information. When your first deposit has been recorded by our financial service, we open the access to our routes, and you can start sending your traffic. Getting started with EasyConnect VoIP is fast and simple. Sign up now and benefit from the highest quality and most cost efficient voice routing! As a Boutique carrier for voice traffic supplying global wholesale carriers, our company is always looking for strong partners with excellent solutions. EasyConnect VoIP has allowed us to interconnect with the world’s number 4 voice carrier: BICS. 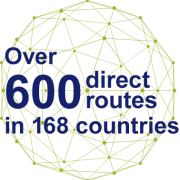 Fast and easy interconnection, wide choice of direct routes and great prices for such a good quality. EasyConnect offers exceptional mix of high quality termination with competitive rates all around. Responsive customer service and tech support are also included; altogether, making EasyConnect the best of breed. EasyConnect VoIP is the solution we were looking at: Excellent quality and good prices. Making the most of one of the widest A-Z routing network, it provides stable termination services. One more advantage: quick interconnection! The experience with BICS is great. Quality is excellent with no complaint at reasonable cost for most destinations. BICS EasyConnect has truly lived up to its name. As a mobile VoIP carrier with a user base highly sensitive to price and quality, our partnership with BICS has guided us through the weeds of effortlessly serving a demanding clientele. The robust user interfaces and helpful support team have been breadth of fresh air not common with organisations of this size. Microtalk Telecommunications is a retail focused service provider with over 35,000 end user accounts. Our customers expect good quality termination and we have found BICS to be one of the best service providers in the industry. The first time we tested the First Class routes we noticed that 99% of this routing was totally premium and not mixed with any standard or greys routes. The best is that they fix any issue you may have, very fast by calling to the 24/7 technical support number at their website. 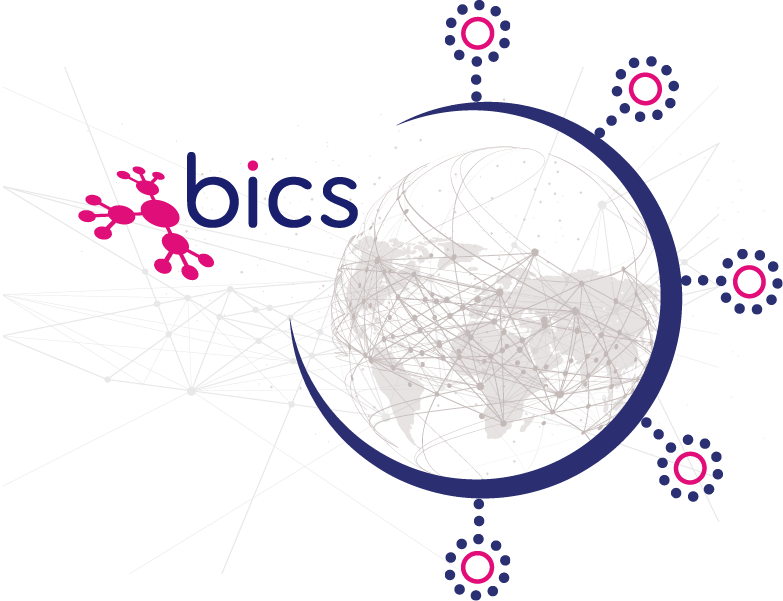 BICS is a leading international communications enabler, one of the key global voice carriers and the leading provider of mobile data services worldwide. Our solutions are essential for supporting the modern lifestyle of today’s device-hungry consumer – from global mobile connectivity, seamless roaming experiences, fraud prevention and authentication, to global messaging and the Internet of Things. Global network and a strong presence in Africa, Americas, Asia, Europe and Middle East. Our headquarters is in Brussels and we have regional offices in Bern, Madrid, Dubai, New York, San Francisco and Singapore, a satellite office in Beijing and local representation in Accra, Miami, Montevideo, Nairobi and Toronto.